Takelma Boat Ramp, Lost Creek Lake: Take highway 62 North from Medford. Go thirty miles, look for the “Cole M. Rivers Fish Hatchery” sign. Turn left, go uphill two miles. Turn right at the boat ramp sign and continue down to the lake. You’re there. Allow one hour for the drive. Links: Water Levels, Army Corps data. Swinging Bridge, Illinois River: Go to Grants Pass (I-5 exit 55) and then out highway 199 West, twenty miles to Selma. The Selma Market (at milepost 20) is our usual meeting place. 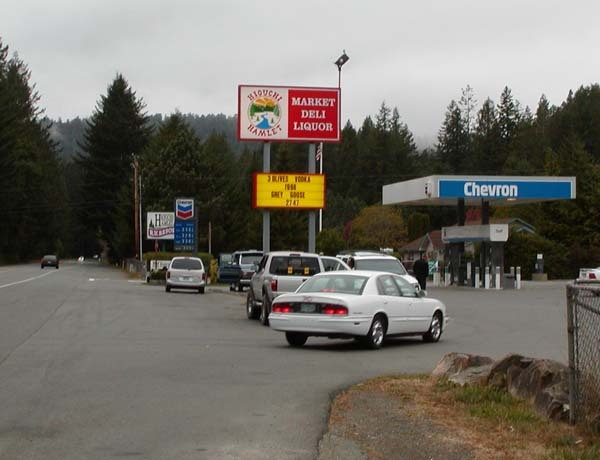 To continue to the dive site, pass the market and turn right at the blinking yellow light, just before the 76 gas station, onto Illinois River Road (National Forest Road 4103). Go slow 11 miles or so. 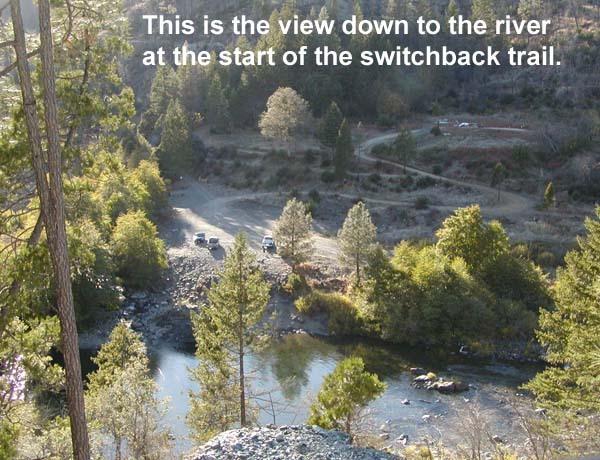 At the big open space, take the left-hand road, which switchbacks down and crosses the river. You’re there. Allow one hour for the drive to the market, another forty minutes for Road 4103. Here’s an aerial photo of the site from Google Earth, and here’s a Google Maps driving directions and map. Links: Flow rates, USGS Water Data. Look for flows below 300 cu.ft./sec. 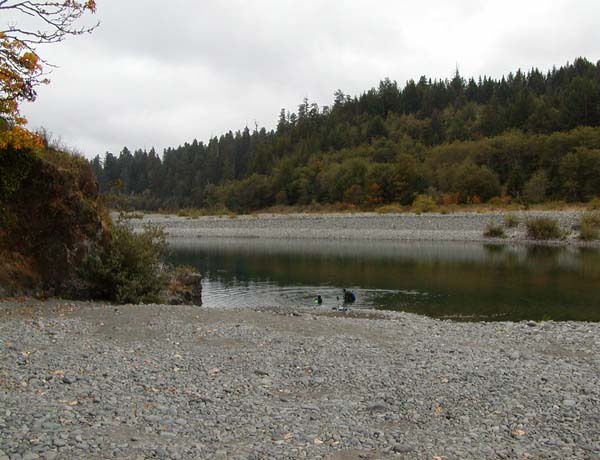 Diver’s Hole, Illinois River: Go to Grants Pass (I-5 exit 55) and then out highway 199 West, twenty miles to Selma. The Selma Market (at milepost 20) is our usual meeting place. 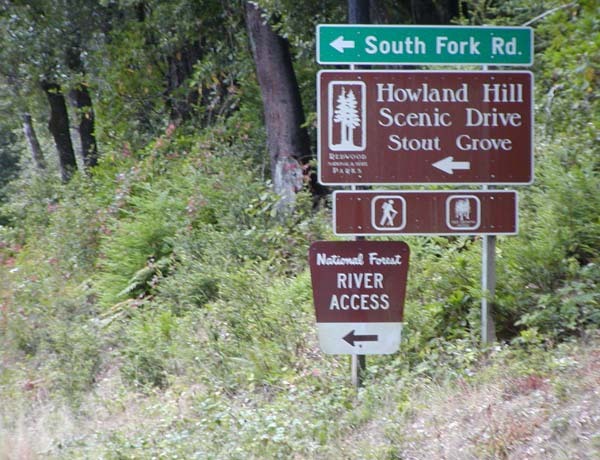 To continue to the dive site, pass the market and turn right at the blinking yellow light, just before the 76 gas station, onto Illinois River Road (National Forest Road 4103). Go slow 8.4 miles to the “Diver’s Hole” sign (just before mile marker 6). You’re there. Allow one hour for the drive to the market, another twenty minutes for Road 4103. 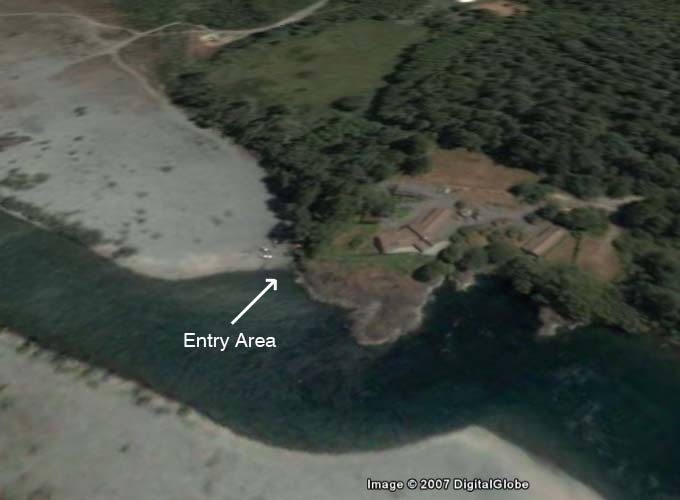 Here’s an aerial photo of the site from Google Earth. 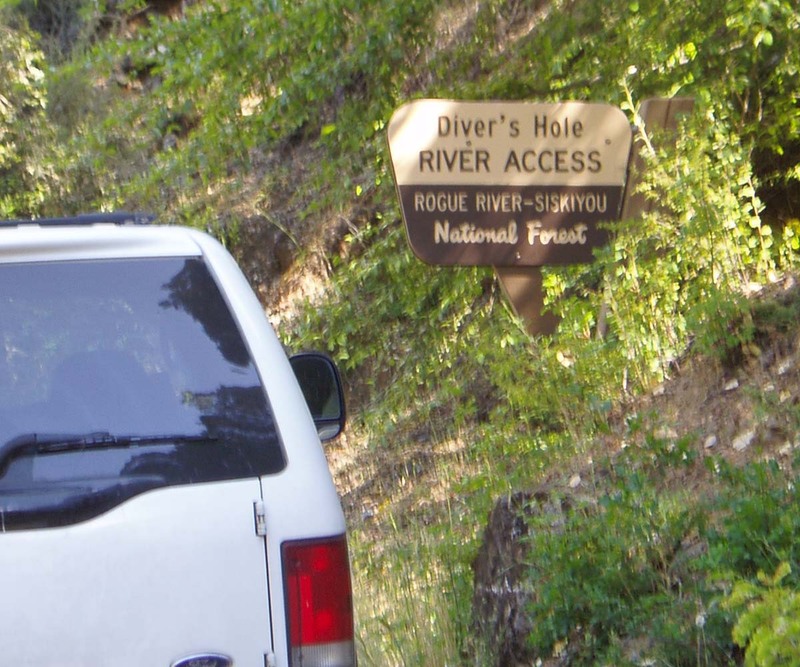 Early Hole, Smith River (aka Wheel Hole): Go to Grants Pass (I-5 exit 55) and then out highway 199 West, 72 miles to Hiouchi. The Chevron station is our usual meeting place. 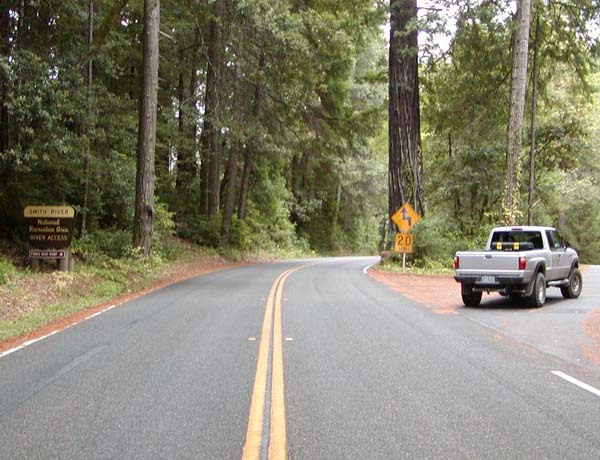 To get to the dive site, continue 1½ miles on 199 and turn right onto highway 197. 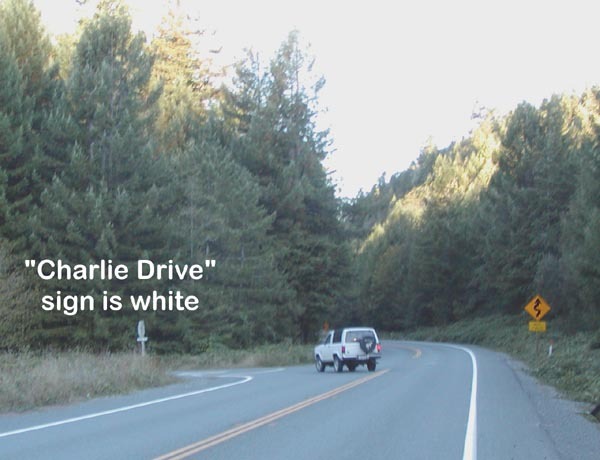 From there, go 3 miles and turn left onto Charlie Drive (there’s a “winding road” sign on the right). 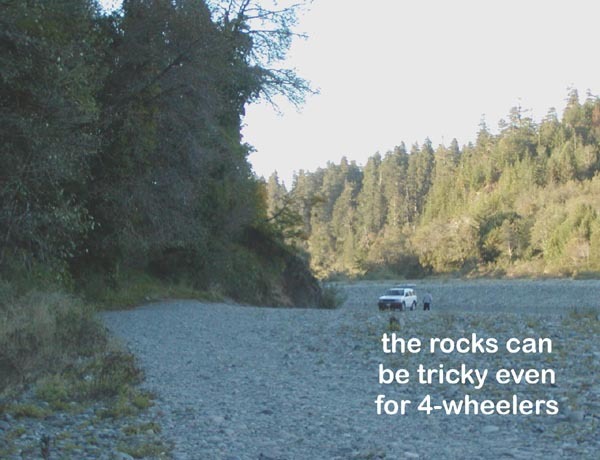 Go slow as it turns to dirt, then to river rock. Turn left when you reach a crossroads on the flood plain, then straight to the cliffs. You’re there. Stay near the rocks on the left when entering the water. Allow 2 hours for the drive to Hiouchi, 15 minutes more to get to the site. 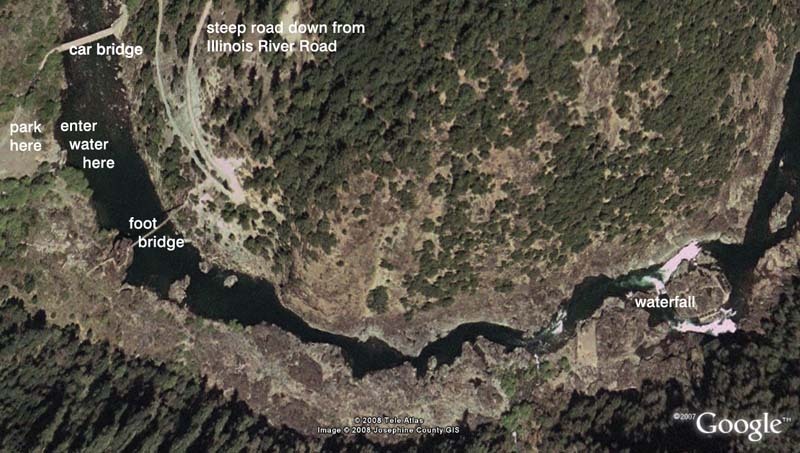 Here’s an aerial photo of the site from Google Earth. Links: Flow Rates, USGS Water Data. Look for flows below 2000 cu.ft./sec. Slant Bridge, Smith River: Go to Grants Pass (I-5 exit 55) and then out highway 199 West. 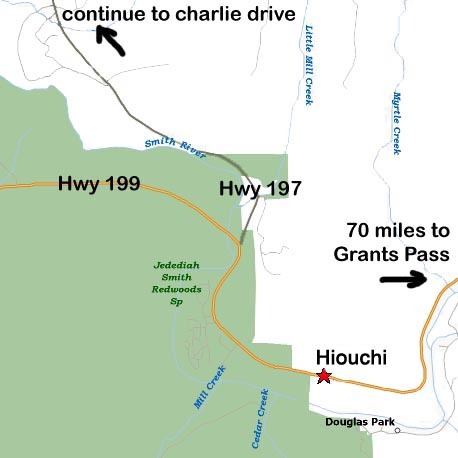 1½ miles before the Hiouchi store (about 70 miles out on 199), turn left onto South Fork Road (there’s a gravel lot at the turnoff). 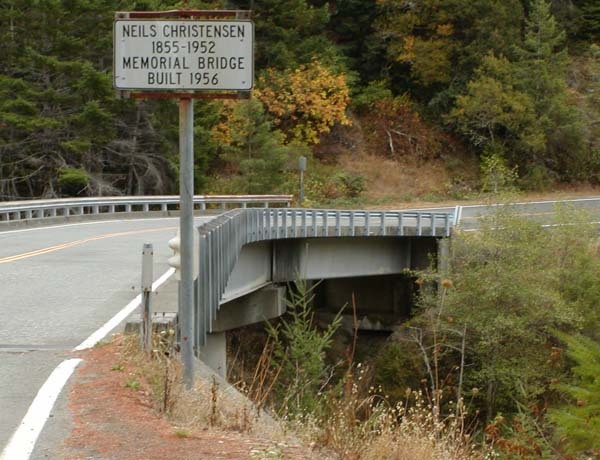 Drive over the Nels Christensen Memorial (aka Slant) Bridge, then watch for the “Smith River – River Access” sign. Turn right and drive down to the parking lot. Go to the left, down to the boat turnaround at the head of the boat ramp. Unload at the “No Day Use” sign, then park up in the lot. Hike your gear to the river on the trail from the turnaround. You’re there. Allow 2 hours for the drive. 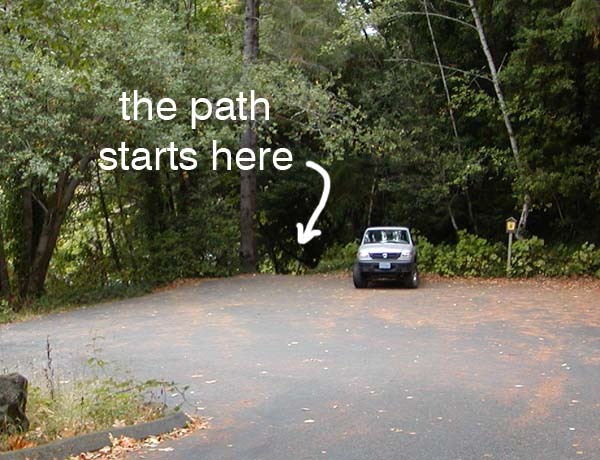 Copper Boat Ramp, Applegate Lake: Take highway 238 West through Jacksonville and on to Ruch. 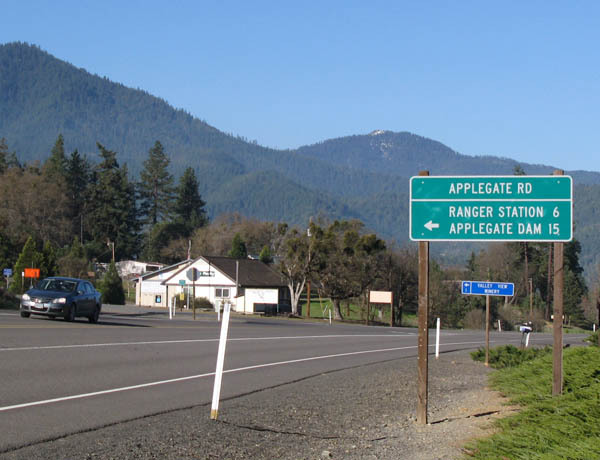 In Ruch, turn L onto Applegate Road (look for the “Applegate Dam” sign). You’ll pass the dam at about milepost 15. At 17¾ miles, turn left at the “boat ramp” sign and follow it down to the lake. You’re there. Allow one hour for the drive. 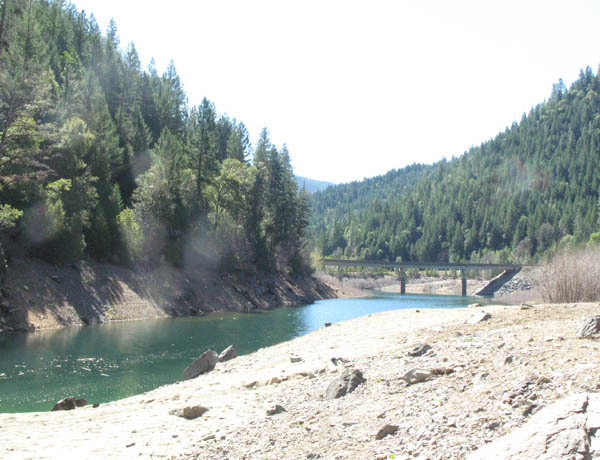 Hart-Tish Park, Applegate Lake: Take highway 238 West through Jacksonville and on to Ruch. 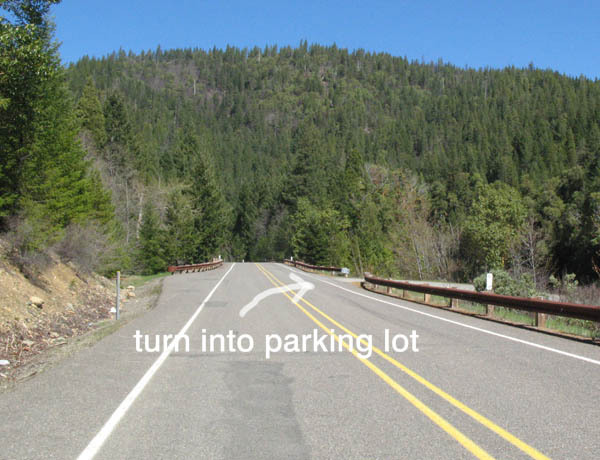 In Ruch, turn L onto Applegate Road (look for the “Applegate Dam” sign). You’ll pass the dam at about milepost 15. 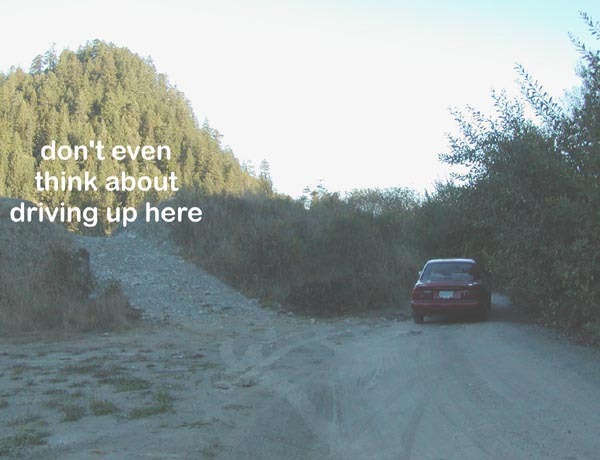 At 15¾ miles, turn left at the sign for Hart-Tish and stay left on the driveway to get down to the big parking lot. The boat ramp and the bathrooms are at the far end of the lot. Suiting up on the picnic tables allows you to step in from the bank when the lake’s full. Allow one hour for the drive. 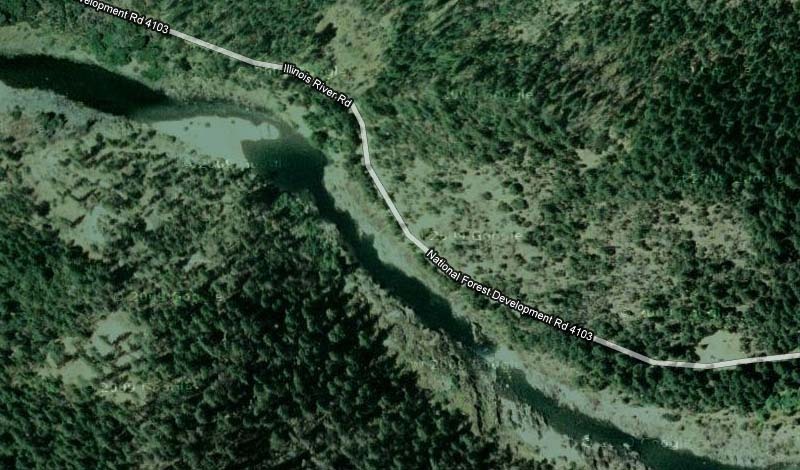 Carberry Creek, Applegate Lake: Take highway 238 West through Jacksonville and continue to Ruch. 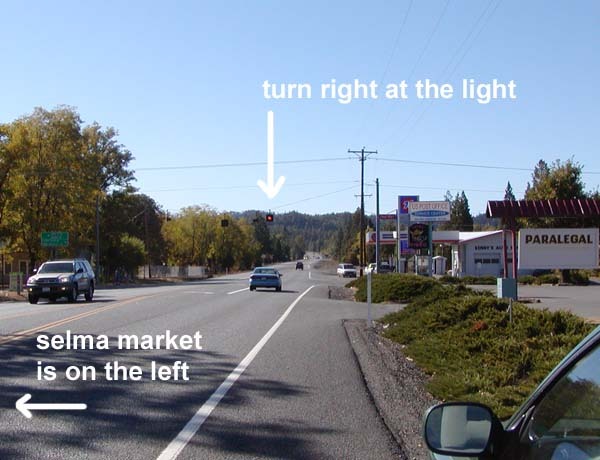 In Ruch (just past the big group of stores on your right) turn L onto Applegate Road (look for the “Applegate Dam” sign). You’ll pass the dam at about milepost 15. At about mile 19, the road goes over Carberry creek and ends at a tee. Turn right, then take the first gravel drive on the right and park in the gravel lot. You’re there. Allow one hour for the drive. Lake of the Woods, Resort: Take Highway 62 North from Medford. Turn right onto Highway 140, and go just over thirty-six miles. Look for the “Lake of the Woods Resort” sign, turn right, go one mile, then turn right again at the sign for the Marina. You’re there. Allow one forty-five minutes for the drive. Lake Siskiyou, North Shore, Dam, Resort: Take I-5 South into California and take exit 738 (Central Mt.Shasta). Turn immediately R on Hatchery Lane, then L onto South Old Stage Road, and stay R to get onto W.A.Barr Rd. For the North Shore site, turn R on North Shore Road and go 1.7 miles. to dive next to the Dam, turn R into the parking lot just before you cross the dam. 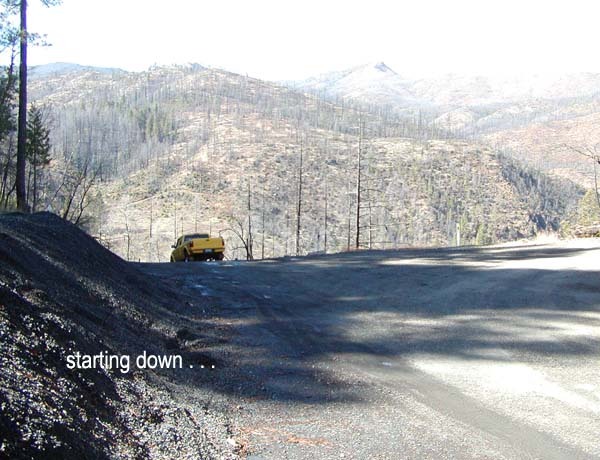 For Lake Siskiyou Resort, continue to the South end of the lake. Allow one hour forty minutes for the drive. Please note: Directions assume you’re in North Medford, and drive times are approximate. Remember to allow for weather and for traffic.